Eliminate the mess caused by decaying leaves each spring! Install a Blue Wave leaf net over your winter cover this fall and make spring opening quick and easy. The leaf nets tight mesh traps even the smallest leaves before they reach your winter cover. Other brands of leaf nets have larger mesh that allows small leaves to pass through to your winter cover and decompose in the spring. Simply lay the Blue Wave leaf net on top of your winter cover when you close your pool and remove it before the first snow. Your cover will be virtually leaf free and spring clean-up will be a snap. Eliminates that messy swamp of decaying leaves! Blue Wave leaf nets are made from durable woven polyethylene and carry a 4 year warranty. In-ground leaf nets have an extra 4-foot overlap and water tube loops for a secure fit over your in-ground winter cover. Black mesh fabric. Seal off your pool steps to keep your cover securely anchored. These handy 4-foot water bags fill the gaps left on the short side of your pool steps to ensure that the cover stays in place. Our step bags are made of heavy gauge vinyl with quality no-leak valves that are easily filled with a garden hose. 4 ft. single tube, 2-pack. Invader 35-in Inflatable Snow Tube The 35-in Invader inflatable snow tube was designed for snow tubing just about anywhere there is snow. Built from quality materials that will withstand exciting high-speed runs in the snow, the cold resistant heavy-duty 18 gauge PVC vinyl is extremely durable. Two oversized easy to grab handles allow a secure grip and manoeuvrability as you glide down the hill. The convenient grip line makes towing the tube back up the hill for the next run easy! 90-day limited warranty. Designed for 1 person - weight capacity 165-lbs. 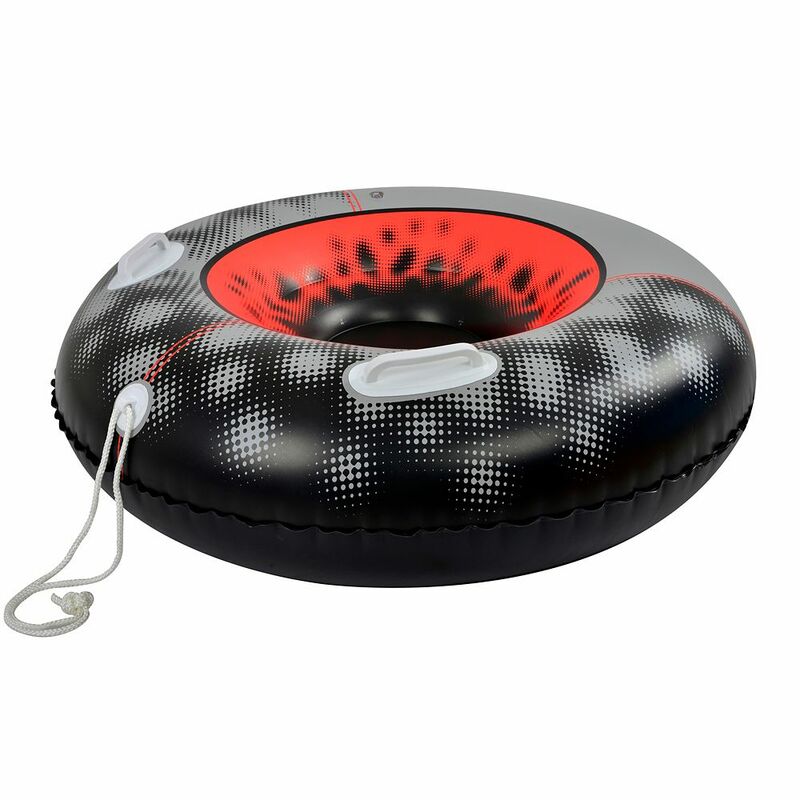 Invader 35-in Inflatable Snow Tube is rated 2.0 out of 5 by 4. Rated 1 out of 5 by Christine from Awful Got these for the kids for Christmas. Took them out. These tubes wouldn't even go down the hill. They have some material on the bottom with too much traction. Horrible! Rated 1 out of 5 by CA from Bought 2 of these. We opened the box (with our hands, no knives), and there were slashes all thro... Bought 2 of these. We opened the box (with our hands, no knives), and there were slashes all through both tubes. They were brand new never opened and covered in holes!